WiFi, Bluetooth and data-ports have all been check and are in good working order. The cases are silicone rubber based in blue only. The USB cables all check out and are in good working condition. Storage Capacity 8 GB. Generation 4th Generation. Model Number iPod Touch 4th Generation. Model iPod Touch. Product Line iPod Touch. Outputs Headphone Jack. Audio Supported Formats Aac, Aiff, Protected Aac, MP3 Vbr, WAV, Audible, MP3, Apple Lossless. Apple iPod 4th Generation Model A1367 - 8GB - Black, strong battery. Includes Sony radio / charger. Condition is Used. Shipped with USPS First Class Package. Apple iPod Touch 4th Generation - 8GB - White - A1367. Condition is Used. Shipped with USPS First Class Package. Has cracked screen but works perfectly fine. Apple iPod Touch 4th Generation Black (8 GB). Condition is Used. Shipped with USPS First Class Package. Apple iPod 4th Generation Model A1367 - 8GB - Silver- Great Condition! 4.5 out of 5 stars - Apple iPod 4th Generation Model A1367 - 8GB - Silver- Great Condition! 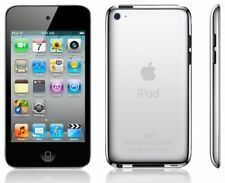 3 product ratings3 product ratings - Apple iPod 4th Generation Model A1367 - 8GB - Silver- Great Condition! It will no longer turn on. I think it just needs a new battery but im not sure. Ipod only. Every Order Supports a Husband & Wife trying to break free. Our goal is to make sure you are satisfied no matter what! Apple iPod Touch 4th Generation Black (8 GB). Condition is Used. Shipped with USPS Priority Mail Small Flat Rate Box. Storage: 8 GB. Generation: 4th. Category: iPod. Apple iPod touch 4th Generation White (8 GB). Condition is Used. Shipped with USPS First Class Package. includes wall charger. No headphones. 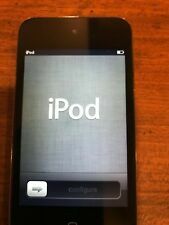 Apple iPod Touch 4th Generation Black (8 GB). Condition is Used. Shipped with USPS First Class Package. The screen is in very good condition. I just tried facetime and had no issues. 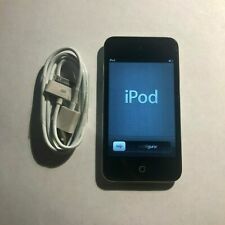 Apple iPod Touch 4th Generation Black (8 GB). Condition is Used, but everything works great. No issues. Although the pictures were taken prior (so I could show it was working), it has since been restored to original settings. Shipped with USPS First Class Package. Apple iPod touch 4th Generation White (8 GB)NOT Bad conditions! Apple iPod touch 4th Generation White (8 GB)NOT Bad conditions!. Condition is Used. Shipped with USPS First Class Package. 4.5 out of 5 stars - Apple iPod touch 4th Generation White (8 GB)NOT Bad conditions! 618 product ratings618 product ratings - Apple iPod touch 4th Generation White (8 GB)NOT Bad conditions! 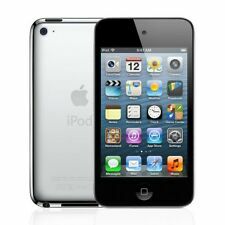 Apple iPod touch 4th Generation Black and silver. preowned (8 GB) Model:MC540LL. Condition is Used. iPod in good working condition and fully functional. 8gb of storage. iPod only, no cables. Typical scratches around body from normal use. 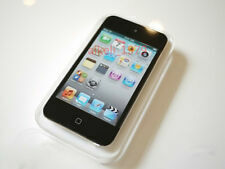 IPod Touch A1367 8GB. The iPod has been reset to factory defaults and is ready to go. Apple iPod Touch 4th Generation Black (8 GB). Condition is Used. Shipped with USPS First Class Package. Includes charging cord. For sale is an iPod Touch 4th generation 8gb. The iPod home button does not always work, the screen has a dead spot, distortion, and is lifting up from the iPod, but it works fine otherwise. The iPod is running iOS 5.1.1 and has SHSH blobs saved for 5.1.1. 2 aftermarket cables are included with the iPod. According to a program called coconut battery, the battery has 100 percent battery health. Feel free to ask any questions. Thanks for looking! There is a minor crack on the border of the screen. There are scratches and signs of use. No other accessories will NOT include, such as headphone, the original box, and manual. Charging Cable. Apple iPod touch 4th Generation White (8 GB). Condition is Used. Has an m&m case. Shipped with USPS First Class Package. 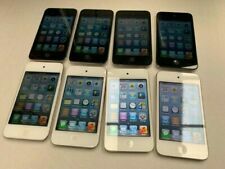 Apple iPod Touch 8GB White 4th Generation TESTED, WORKING, FREE SHIPPING. Condition is Used. Shipped with USPS First Class Package. There are scratches and signs of use. No other accessories will NOT include, such as headphone, the original box, and manual. Charging Cable. Apple iPod Touch 4th Generation Black (8 GB). Condition is Used. Shipped with USPS Priority Mail. Apple iPod 4th Generation Model A1367 - 8GB - Black **** Great Condition ****. Condition is Used. Shipped with USPS First Class Package. The iPod has minimal wear to the exterior, and is fully functional. This is an iPod Touch in near-perfect condition. There are no scratches or marks on the screen. The buttons respond perfectly. It was only lightly used by a middle-aged adult and it was well taken care of.